Let me begin by stating: 2015 was both the best and worst year of my life to date. 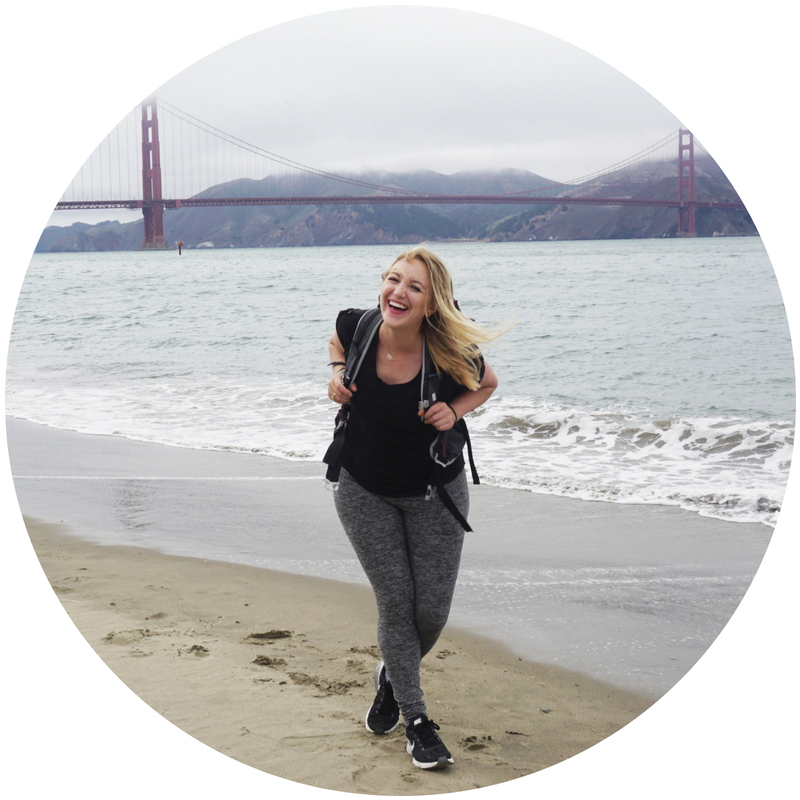 2015 will always be the year I cemented myself as a professional travel writer, lived happily in a glorious Pac Heights apartment, and gained and deepened some of the most important relationships of my life. It’s also the year I was robbed with a gun to my head in Colombia, lost said glorious Pac Heights apartment for reasons outside of my control, and lost a good friend who died unexpectedly in a plane crash. With each year that passes I like most to share thematically here, with you, on the blog. In past years, I have summarized the year’s highlights through expressions of photography or food. This year…it’s hotels. While they are certainly an essential part of travel, I deliberately write very seldom about hotels. They’ve never been any part of my decision to go to a place or been a highlight of any journey for me. Quite frankly, they’ve been a place to sleep. That’s it. Looking back at the year I realize: as much as I loved my home base in San Francisco, I also spent a good amount of my time in phenomenal places around the world. 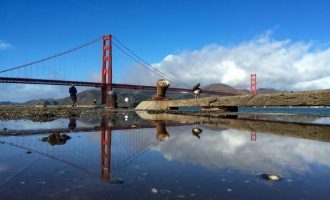 I often felt conflicted about the balance of paying rent (in San Francisco, no less) and being gone on one of my adventures. It is a tough thing to justify — working for yourself as a writer, affording one of the world’s most expensive cities…when you can work from anywhere in the world. That’s the thing, though. I did work from anywhere in the world, and quite often. At the end of the day, or more fittingly at the end of trip, I always had a home that suited me to come home to. I get many questions about my home in San Francisco, how and why I make it work. While there are so many reasons I choose to live in San Francisco, it comes down to: proximity. Proximity to the people, places, and experiences I want in my life. The same goes for each of the hotels I was able to stay in this year. After losing my apartment recently, I feel my sense of space and place shifting. I don’t know what tomorrow (or more specifically, 2016) brings. After a series of personal tragedies, I know I’m going to have to work twice as hard to remain open and optimistic to the possibilities of a new year. My hard work, flexibility, and commitment to this lifestyle is what brought all of these other roofs over my head into my life. Strangely, looking at all the places I stayed in the past year reinforces: I must. So here’s a look back at all the beautiful places, along with my ever-important home base, I collectively called home this year. 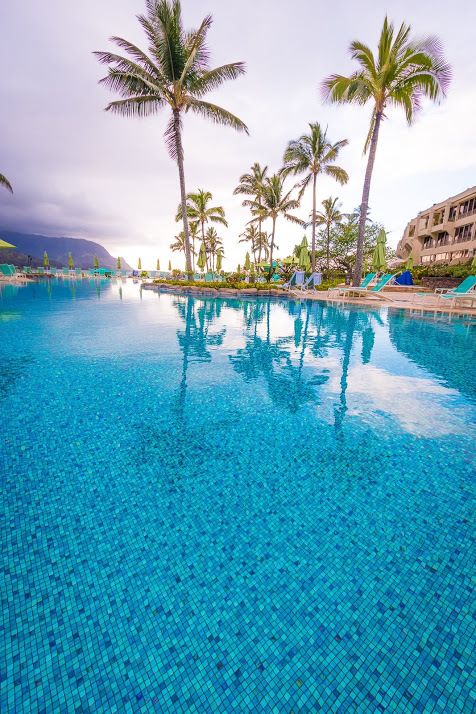 I grew up visiting the Big Island every year, so Hawaii feels almost like a second home. It is a place that instantly relaxes me, more than any other place on Earth. This year I had the exceptional fortune of exploring Kauai for the first time, the only island I had yet to explore. 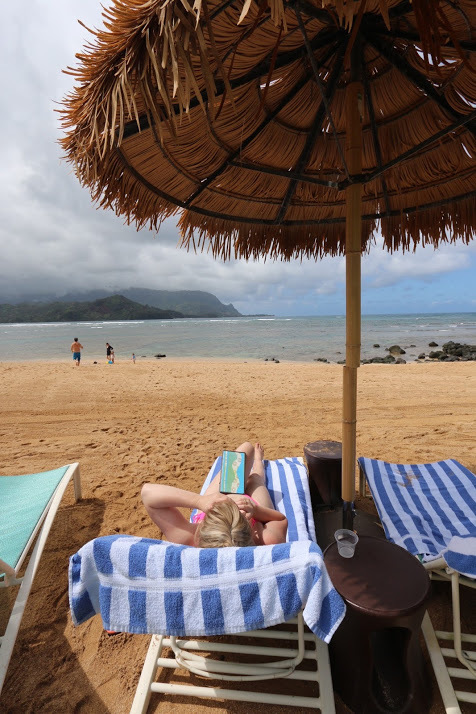 After a week of traveling, I settled on my favorite part — the north and Hanalei. I only spent one night at this glorious place, but that was all I needed. I celebrated with coconut cocktails and snacking on macadamia nuts, snorkeling, and reading under an umbrella at this secluded section of the shore. And while I did, I turned 29. I couldn’t have asked for anything better. I had avoided Bali on my many trips to Southeast Asia, for fear I would see little more than the many who had told me tourism had overrun the island. After a work trip to Thailand, I decided to go and see for myself. I am so glad I did. 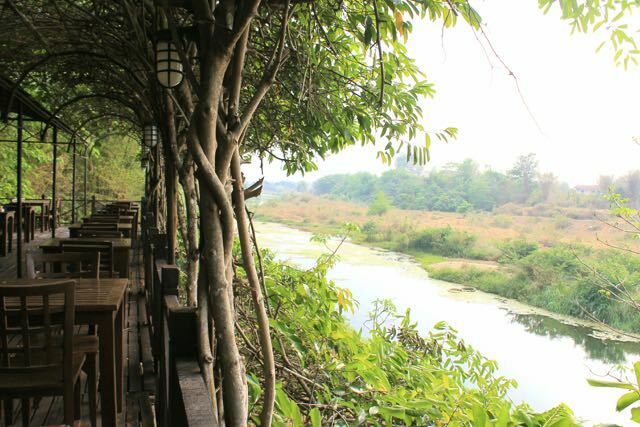 Speaking of places altered by tourism, I’ve always loved Thailand — but it seemed a bit rehearsed after the culture I experienced traveling in spots like Laos and Burma. This year I went off the “backpacker trail” (for a lack of a better phrase) and explored some of the provinces that hardly see tourists. I reveled in the Thailand where tourism services and English speakers are difficult to find. Perhaps the best part of this journey happened at this hotel. I wandered around the grounds to take some photographs upon arrival, and the pond, though serene, seemed quite ordinary. I sat beside the water writing most of the afternoon and sipped tea there after dinner. I left my pen and notebook in one of the chairs, so early the next morning I tiptoed out to the terrace from my room to gather them. Overnight the seemingly ordinary pond had literally blossomed. 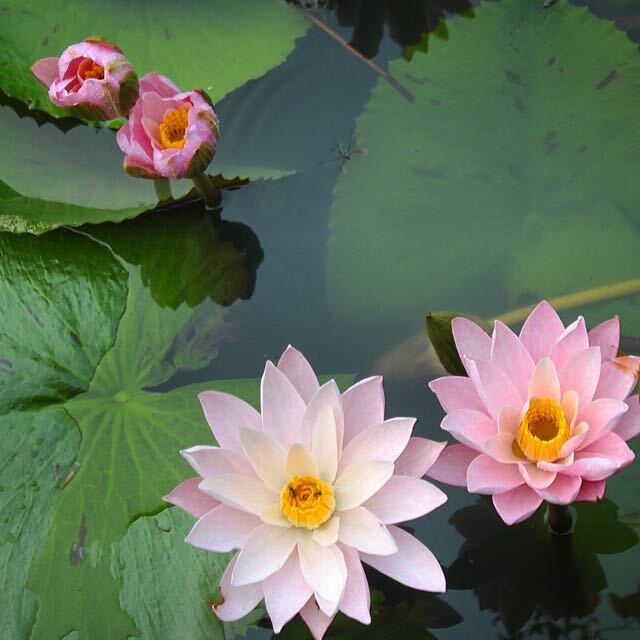 The water’s surface was covered with water lilies and lotus flowers. It was so beautiful, and so unexpected, it made me gasp aloud. It was a moment I’ll never forget, and a lesson that stays with me. 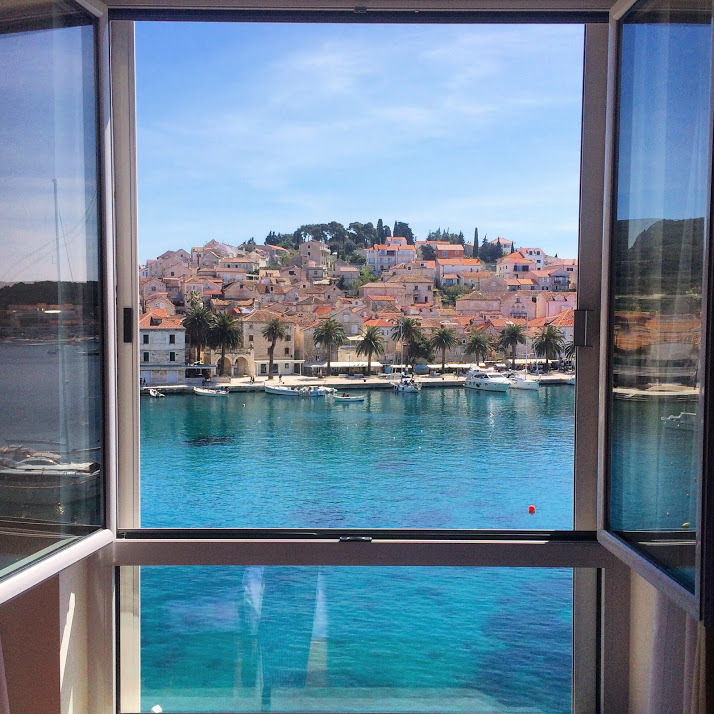 This is an unedited view from my window, waking up in Hvar. There are so many islands to choose from off the coast of Croatia, but Hvar had been on my mind for quite some time. Looking over the Hvar harbor felt both like an escape and being right in the center of the action. Plus the Hotel Adriana was a spa hotel. I didn’t know those existed! Let’s just say, this was my favorite place I woke up in in 2015. 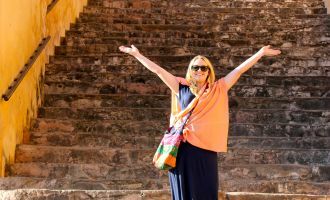 Operated by a charming British couple, I had no idea what to expect when I traveled here with Brad of MyWanderlist to trek the newly reopened Caminito del Rey. In the countryside located outside of a town outside of a city (Malaga,) I was thrilled to explore a new part of Andalusia. 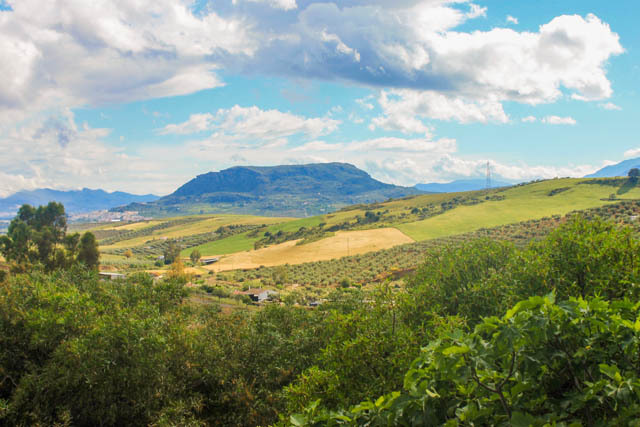 Falling in love with being in the middle of nowhere, in a small B&B with gardens, orange-scented air, and views…it was lovely to fall off of the map for a while. I’ll never forget one particularly lazy afternoon I sat on the terrace writing, eating Spanish olives and basking in the sun and breeze. One of the most refreshing travel experiences I’ve had in a long while. Once again, I woke up like this. This year I explored many of the coastal towns of Catalunya’s Costa Brava, and Begur took the crown as my favorite. 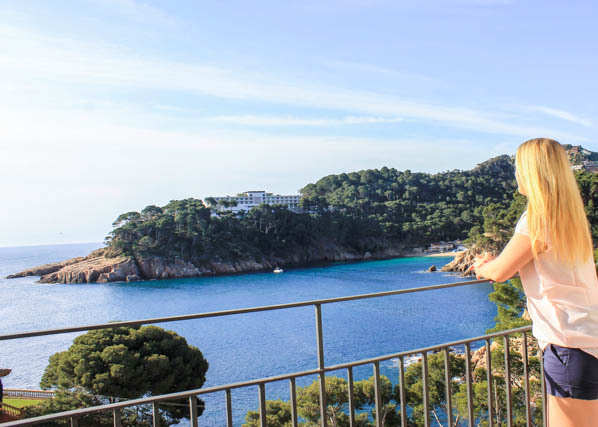 I loved every little detail about this stay, from location to views to service to the sweet Catalan lady who owns it. The restaurant here was one of the best I’ve ever eaten at in a hotel (unsurprising given Catalunya’s incredible food heritage!) 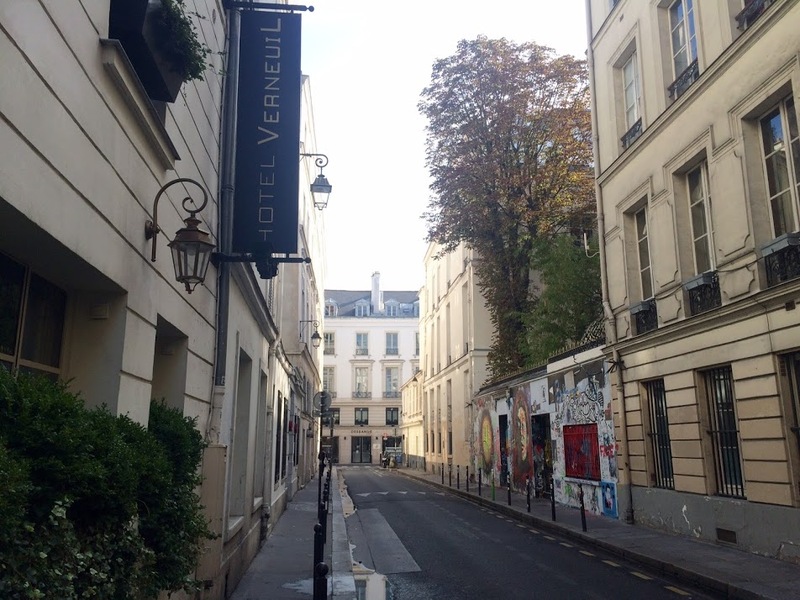 Something about this spot…it was never on any bucket list, yet remains one of my more memorable stays. It felt like a secret I alone was privy to, another place I sort of stumbled upon that I will never forget. Ahhh, Paris. My ultimate. My everything. I have a couple of routines for traveling to Paris. I must go alone. (After all, Paris is the city that made me fall in love with being solo.) I must stay in a new arrondissement. I must trick myself into believing I live there for the week. 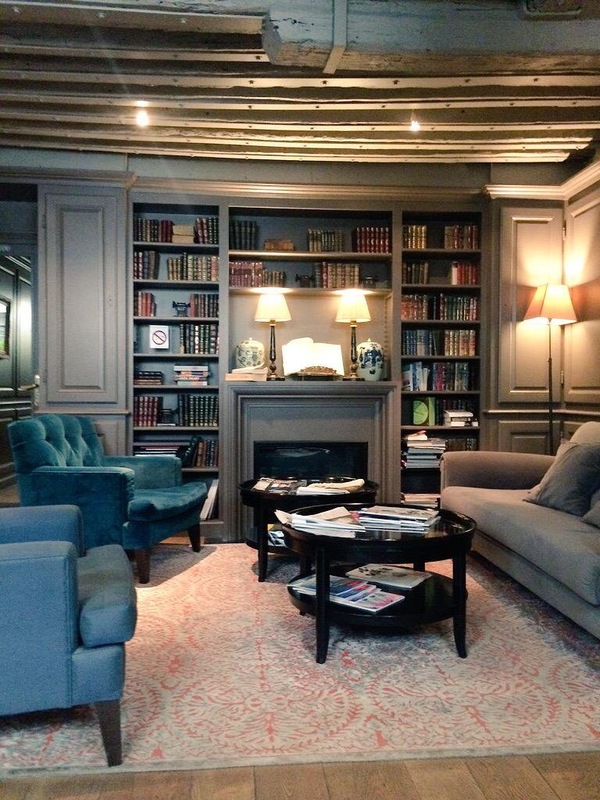 This time I called Saint-Germain-des-Pres my home, and I couldn’t have asked for a more welcoming, comfortable, elegant base. 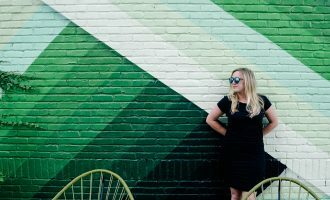 One of the women who works there, Sandrine, sat down with me and together we made a whole list of her local favorites both in Saint German and across the entire city. I set out with my camera and notebook (and appetite) to explore, embracing my inner flaneur for as many consecutive hours as possible. Then I’d retire to my cozy room and write beside an open window. I could have stayed for months. Alas, I couldn’t leave Paris without spending time in my old haunts. As my friend’s apartment I normally stay in was not available, I booked a room at this brand new hotel around the corner. 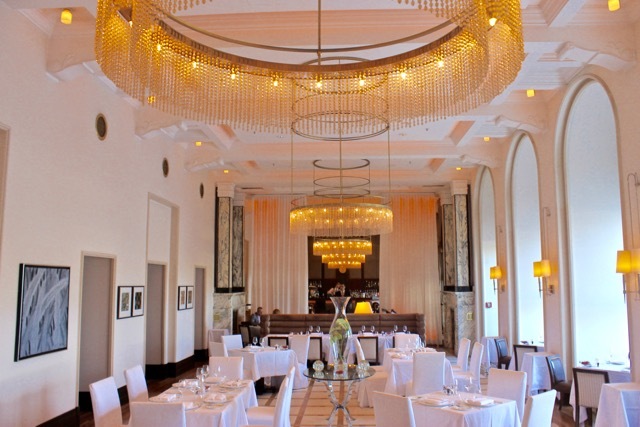 Whereas Hotel Verneuil was more cozy and classic, Hotel Monsieur was glamorous and styled. It was a wonderful balance and I particularly adored having a balcony for the first time! Splitting your time between two different areas of Paris (in this case, even both Left and Right Bank) feels like two separate trips. 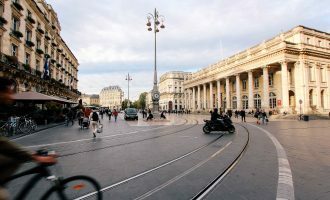 With the attacks in Paris just a few weeks after I left, as well as losing my friend whose apartment in Paris brought us together…I look back at my time in my favorite city with both reverence and a broken heart. I treasure the time spent there this year all the more. That’s right. 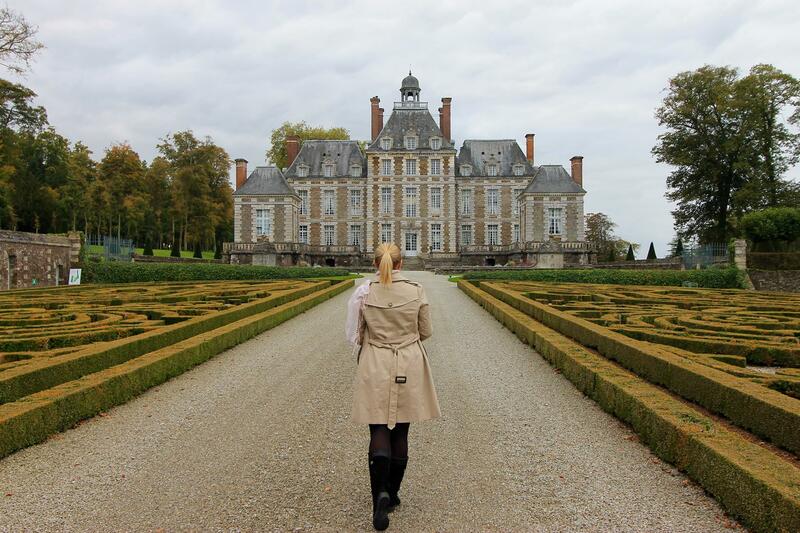 I stayed in a chateau. And not just any chateau! Privately owned and full of dozens of new friends, I was the only woman in a house of more than thirty gay men (you read that right.) We drank champagne, we ate foie gras, we played the piano, danced, sang, and laughed. I explored Normandy for the first time, setting my own eyes on the Mont Saint Michel and strolling beside waterfronts and farmers markets in Honfleur. 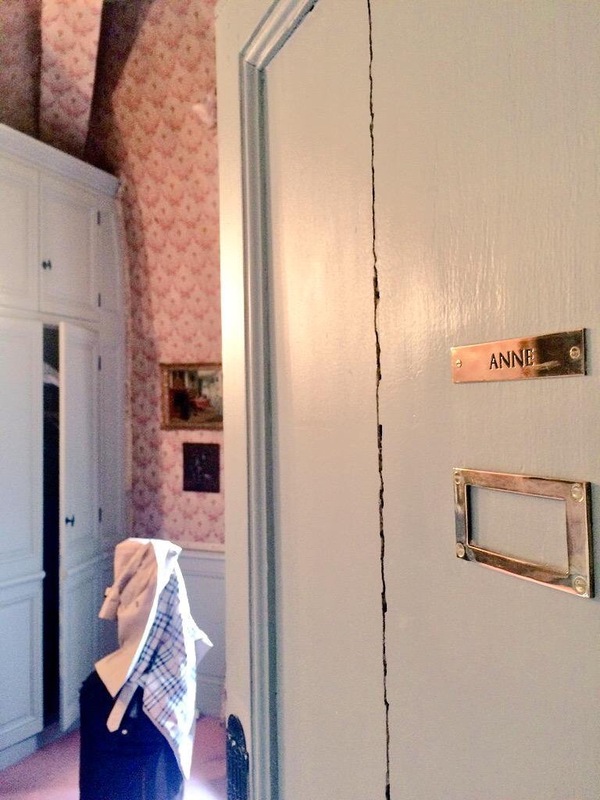 I even got to stay in the ‘Anne’ room (the best one in the house, and sharing my name!) It goes without saying that this experience was not only a highlight of this year, but of my life. I haven’t forgotten my hostel roots! TOC Madrid, The Beehive Rome, HI-Yosemite Bug, and La Maison du Pelerin et du Voyageur (Arles) stood out to me. I loved them all! Honorable mentions: the many friends and friends-of-friends’ floors and couches (these account for a large part of my travels.) You know who you are. Thank you! And a few more favorite posts! Happy New Year! As always, if I can be of any help in choosing a place to stay, feel free to contact me. Wishing you a year of beautiful and safe adventures at home and abroad. Disclaimer! Some of the links above go to my favorite hotel booking site and if you choose to book, I will receive a tiny affiliate payment. It is much appreciated! Some of those hotels look amazing. I’m like you, usually a hotel/any accommodation is just a place for me to lay my head and nothing else, but it’s nice to find some that give you a sense of home and comfort (and even luxury in some cases) while you’re traveling. Hope 2016 is full of more travels, health, and happiness for you. Thank you for the lovely comment, Alouise. I believe there is truly nothing like home, but the more I travel the more I find myself able to make a home for myself wherever I go. Home to me is always a place I feel comfortable and surrounded by those I love. My sense of comfort and confidence while traveling has been recently shaken, but I believe it’s still at an all-time high. That coupled with getting to know myself better and finding comfort in being alone has made my “home” abroad possible. Happy and safe travels to you this year and beyond. great piece! i am enjoying your writing. thanks for sharing! What a gorgeous hotels! The view from hotel Adriana looks amazing! It was one of the best views from a room I’ve ever had!